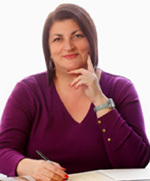 When I started out in my public relations and marketing career, I had no mentor – Not present near me, not in my field. 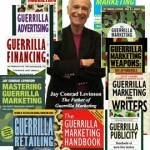 I had Jay Levinson and his earliest work on Guerilla Marketing. Today, we mark Jay’s passing, and I write of his impact on me, personally. It was before the Internet and before I found the good marketing practices to match my own values in the crowd of communicators that did exist around me. Now, my field is full of smarts and the very real science of influence and persuasion that I sought when I was developing myself as both a quality and an effective copywriter and marketing maven. There were, however, book stores.. and there were libraries. These are still amongst my favourite places, in general. And there was Jay Levinson. The Guerilla Marketer. I bought his first shiney and white soft cover book on my lunch hour from my ‘day job.’ I was straight out of university and quickly become the in-house Sales Coordinator (with seniority!) at Canada’s flagship multi-function events facility in the late 1970s, the Winnipeg Convention Centre. Jay’s book had green splotches that looked like army “cammo” on it. His ideas meshed with my instincts then, so well.. that I actually vibrated from the inside out as I read through the chapters. I had it with me on the bus, on my lunch breaks and at home where I had begun to write, “on the side”. Jay burst out of the traditional agency style binds that began to hobble us as we moved into the free love and peace generation and onto the decade of conspicuous consumption. From him, I learned some of the fancy footwork I required to be able to turn concept and copy around fast and to do it for myself and my clients – on that proverbial, thin, dime. Unbeknownst to him, Jay was one of my cherished mentors – by remote. I got the courage to allow my own creative instinct to bust out of the blocks. And, where I might have lacked a step because I was just starting out, Jay helped place a stepping block or fill in a gap of daring so that I could go and “do” what needed to be done. Clearly I am grateful, Jay. And I am saddened because Jay Levinson just passed away at the age of 80. His site and all things Guerilla goes on. In later years, I turned to Seth Godin for fresh fuel. 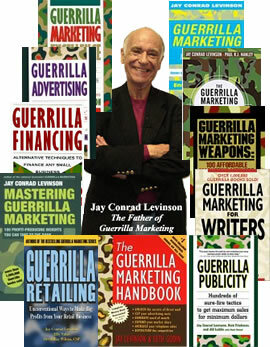 Jay helped invent the idea of the modern marketing book, pioneered Guerrilla Marketing (which has nothing to do with gorillas and everything to do with thinking independently and bravely ) and influenced several generations of leaders. Jay was at his best when, with a mischievous smile, he’d answer a question, turning a newbie into an expert with one of his many lists or with a clever story. The point of his many, many books wasn’t that there was a formula to follow, but that there was an attitude, an attitude that could help just about anyone make a difference. If you would like to work with me, today on the communications you need a boost in fast: Take Action Today and contact me about what is keeping you from bursting out with success. Speaking? Writing? Selling your services or yourself, smoothly and favourably? Contact me now for a conversation.